Background/Purpose: Pentagalloyl glucose (PGG) is a natural polyphenolic and water-soluble gallotannin that exhibits anti-cancer and anti-inflammatory activities. In the present study, we evaluated the efficacy of PGG in regulating interleukin-1β (IL-1β) stimulated human rheumatoid arthritis synovial fibroblasts (RA-FLS) and rat adjuvant-induced arthritis (AIA) model of inflammatory arthritis. Methods: The effect of PGG on RA-FLS viability was tested using MTT assay. Human RA-FLS were pretreated with PGG (0.1–10 µM) for 2 hours followed by IL-1β (10 ng/ml) stimulation 24 hours (for IL-6 and IL-8 production) and 30 mins to study cell signaling mechanisms. Conditioned medium was used for the quantification of IL-6 and IL-8 by ELISA and cell lysates were prepared for the analysis of IL-1β signaling network proteins like Myd88, IRAK1, p-TAK1, and TRAF6. To test in vivo efficacy of PGG, we performed studies in a rat AIA model. PGG was administered at doses of 12.5 and 25 mg/kg body weight once daily (starting on day 8 of AIA induction). The severity of the arthritis was quantified by ankle circumferences measurement. Results: PGG (0.1–10 µM) had no adverse effect on the viability of RA-FLS. Pretreatment of PGG inhibited IL-1β-induced IL-6 (55 and 91% at 1 and 5 µM) and IL-8 (61 and 94 % at 1 and 5 µM) production in human RA-FLS in a dose-dependent manner (p<0.01; n=4). Evaluation of the signaling pathways using Western immunoblotting showed that PGG had no inhibitory effect on MyD88 expression, an adaptor protein in IL-1 receptor signaling pathway that mediates the innate immune responses. Similarly, among the downstream proteins proximal to IL-1β receptor such as IRAK1/TAK1/TRAF6, PGG was unable to inhibit IL-1β induced TRAF6 expression or rapid degradation of IRAK-1. However, PGG selectively inhibited the phosphorylation of TAK1 at Thr184/187, a site critical for its kinase activity and downstream activation of MAPK and NF-κB pathways in RA-FLS. In our rat AIA studies, arthritis peaked around day 19 and therapeutic administration of PGG at the daily doses of 12.5 and 25 mg/kg p.o. from day 8 markedly inhibited the severity of arthritis as evident from the reduction in ankle circumferences by ~30 and 45%, respectively, when compared to the untreated arthritic rats. In addition, there was no body weight loss observed with PGG treatment. Conclusion: Our study provides novel evidence that PGG interferes with IL-1β signaling in RA-FLS by selectively inhibiting TAK1 activation and ameliorates rat AIA. These findings suggest PGG or its synthetic analogs may be developed for the comprehensive pre-clinical testing for their anti-rheumatic activity. Disclosure: S. Umar, None; G. Roe, None; S. Fechtner, None; S. Ahmed, None. Umar S, Roe G, Fechtner S, Ahmed S. Pentagalloyl Glucose (PGG) Exhibits Anti-Rheumatic Activity in Human RA Synovial Fibroblasts and Rat Adjuvant-Induced Arthritis [abstract]. Arthritis Rheumatol. 2015; 67 (suppl 10). 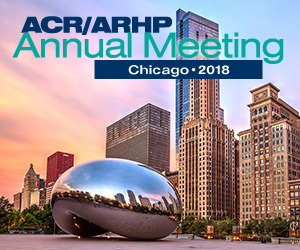 https://acrabstracts.org/abstract/pentagalloyl-glucose-pgg-exhibits-anti-rheumatic-activity-in-human-ra-synovial-fibroblasts-and-rat-adjuvant-induced-arthritis/. Accessed April 19, 2019.